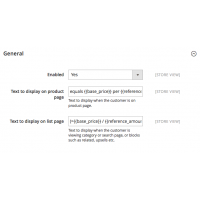 Show your customers price per unit of quantity using Base Price extension. 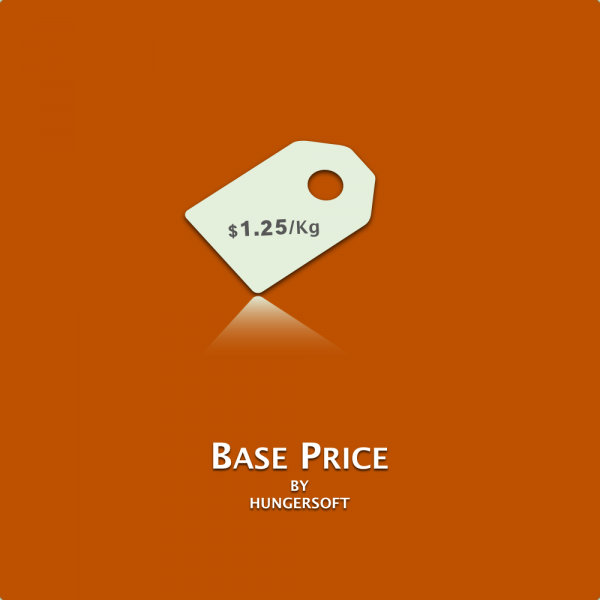 Base price is calculated based on the amount in product and the reference amount specified per product. Display base price along with actual price of the product. 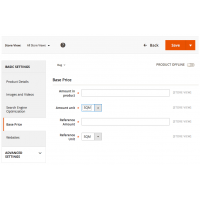 Display base price on both list blocks and product page. Does your country's law require you to show price per unit of quantity next to the price of the product you are selling? 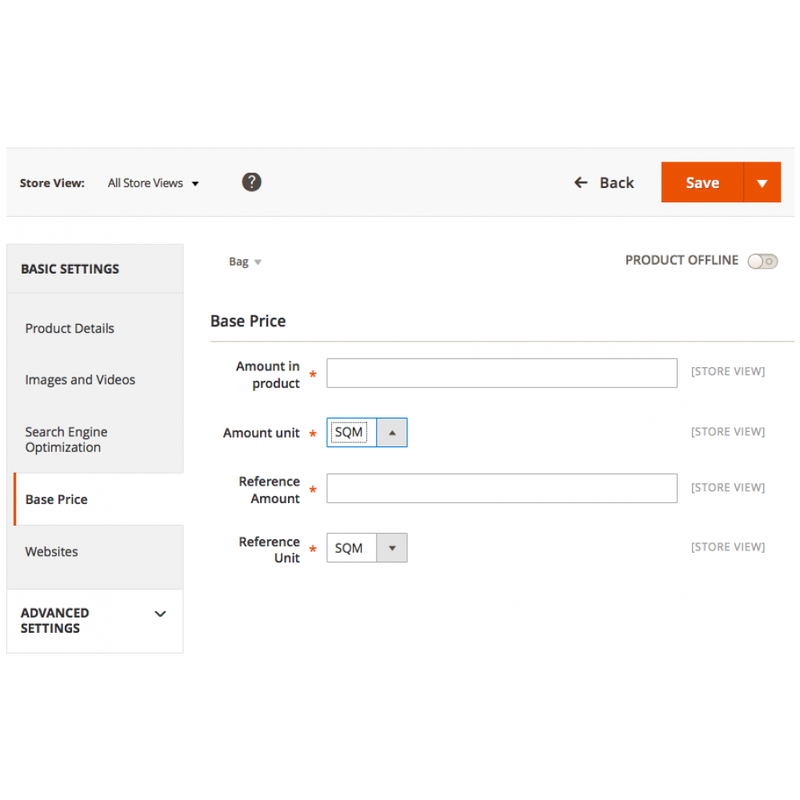 Do you wish to show the the price per unit quantity on your Magento 2 store? The Base Price extension is your solution. 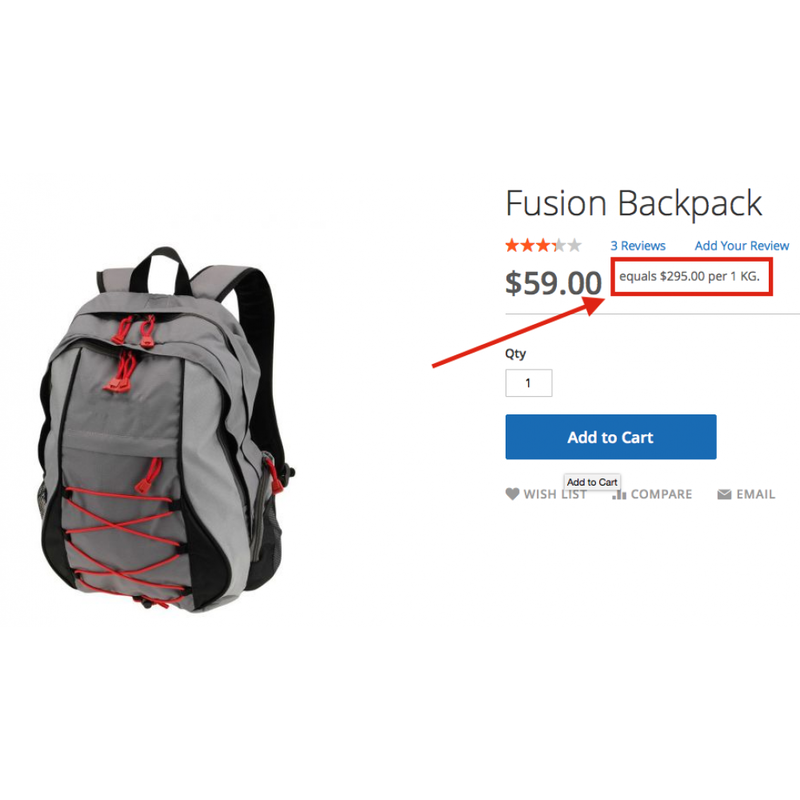 Base Price extension displays the price per unit quantity next to the product price on your Magento 2 store. 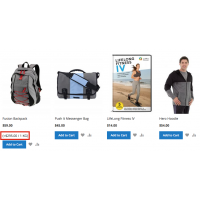 The text can be displayed next to the price on both the product page and product list blocks can be configured in the admin panel per store view. 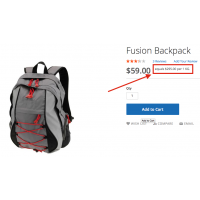 The base price is calculated and displayed on the product page based on the amounts you enter on the product page. Display price per unit quantity. Multiple metrics to choose for weight, volume, length etc. Automatic conversions from base metric to valid reference metric. Example: Base metric millileter to reference metric liter. 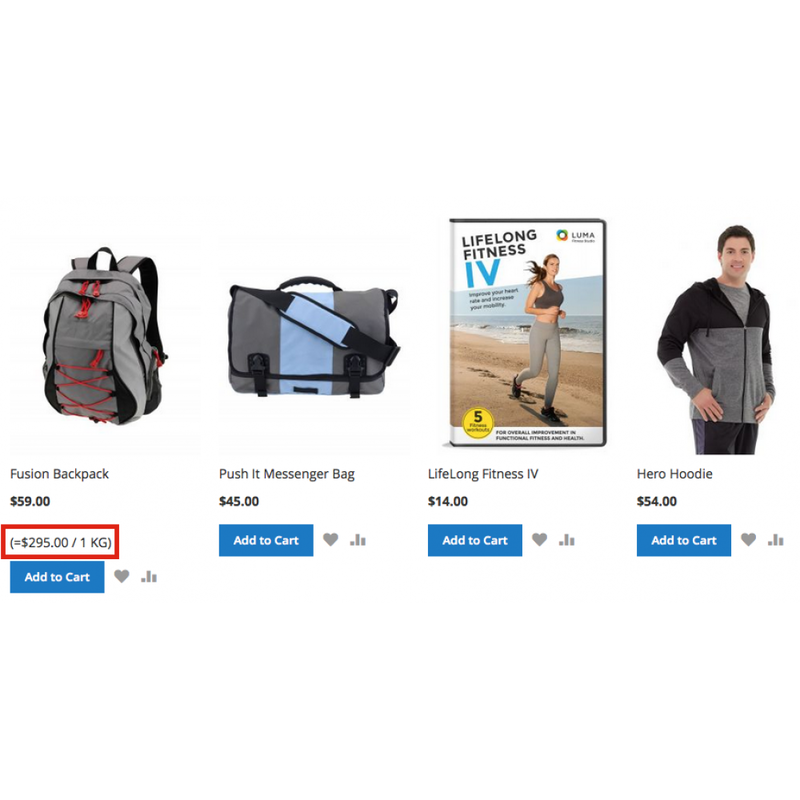 Customize the text displayed on the product page. 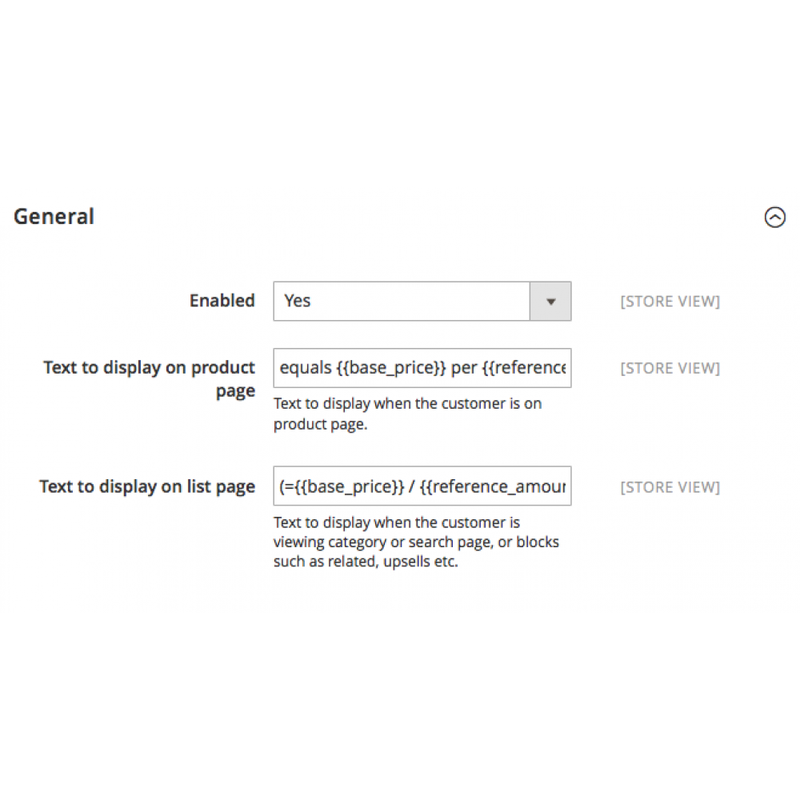 Customize the text displayed on the product list blocks. Free support for 1 year. If you need any support for the extension purchased please contact us using the contact form or by using the live chat.